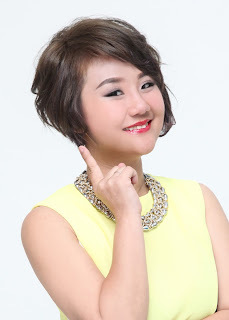 Wendy Pua | Malaysia Chinese Lifestyle Blogger: FITNESS WORKSHOP – FIT-FUN-DAY! 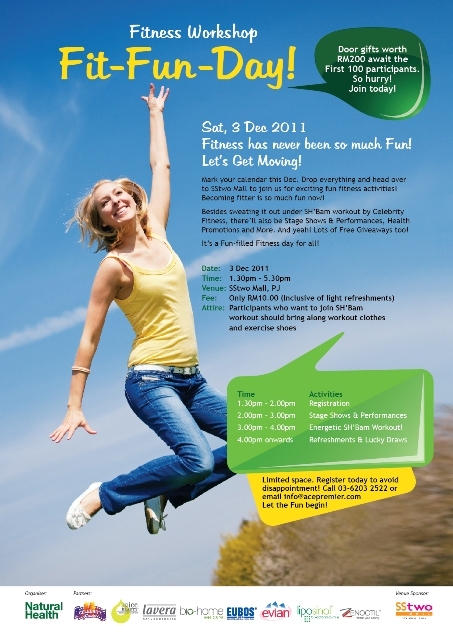 Mark your calendar this Dec. Drop everything and head over to SStwo Mall to join us for exciting fun fitness activities! Becoming fitter is so much fun now! Besides sweating it out under SH’BAM workout by Celebrity Fitness, there’ll also be Fashion Walk, Music Performance, Health Talks and More. And yeah! Lots of Free Gifts too! It’s a Fun-filled Fitness day for all! Door gifts worth RM200 await the First 100 participants. So hurry! Join today!